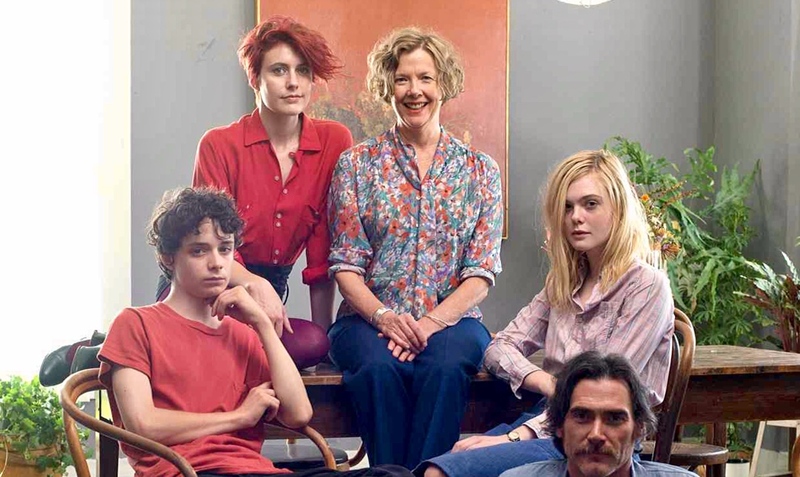 What would one teen boy take from 3 diverse 20th Century Women? 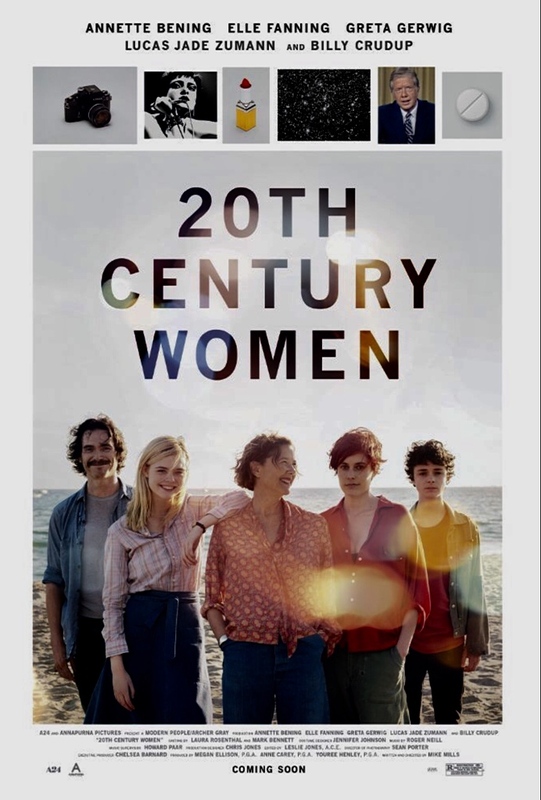 If you lived through 1979, parts big and small of Mike Mills’ Women of a Certain Age will smack you upside the head. The writer and director fashioned this sometimes searing and sometimes sleepy 118-minute period piece after his relationship with his mother, and filled it with the way the people and place in their lives colored their Yin and Yang. My, what an eyeful Jamie gets. The kid is growing up with mom Dorothea in a big, old house in Santa Barbara, Calif, as pretty of a city as you’ll ever find, where the mountains meet the sea. He’s 15, somewhat of an artsy loner whose best friend is Julie, the kind of girl who sneaks into his bedroom window and bed for long conversations, night stays –but no physical connection. Mom takes in two boarders. There’s Abbie, a photographer in her 20s who dance-clubs her nights away while recovering from cancer, and William, a car mechanic who fixes the house up, sleeps with Abbie and emotionally supports Dorothea. Out of this web, Dorothea decides Julie and Abbie have the womanly stuff in elements of life she lacks to raise her son right, so she asks their help. How could this not mess with the head of a 15-year-old boy, especially when all three women have serious issues of their own? Jamie’s plight and fight to be all right holds so much together, including Mills’ delicate dance of coming to grips with his mother’s way. The tidy cast makes it work. Annette Bening looks and sounds perfect as a confused 58-year-old single mom of a 15-year-old trying to find herself and them. Greta Gerwig thrives as the artsy twentysomething who allows the boy into her life fully, teaching him what he should not shame him. Elle Fanning alternately shines and glowers as the fellow teen who can seem years older in her experiences yet also has gaps in wisdom. Billy Crudup unveils layers one by one as the mechanic with his own artful side, bringing to mind his performance as the front man for the band Stillwater in my favorite movie of a decade past, Almost Famous. But Lucas Jade Zumann is the real star as the kid trying his best to make this crazy quilt work for him as long as he can. The crowd of a dozen in the Regal Cinemas’ smallest theater at Syracuse mega shopping, dining and entertainment complex Destiny USA for a 3:35 p.m. Saturday show seemed to dig the Wayback Machine, even though my dear wife Karen and I thought the cars were too old. And the psychedelic colors thrown in on the road trip scenes seemed forced. But as we heard how everybody turned out in the end, it seemed like time well spent. What decade is your favorite in throwback movies, and why? Did a parent force “learning experience” friends on you, and if so, how did that turn out? What’s your favorite Annette Bening movie, and why? Our parents mostly tried to survive 6 children. We found our influences outside of the home. Bening is a treasure…I’ve heard lots of good things about this film. Agreed, CineMuse, that this village of women did a great job with Jamie, indeed.